I am sending this sweet recipe to DIWALI SWEETS AND SNACKS EVENT hosted by LAVI. Take a wide pan, add ghee and heat it. Add almonds,cashew nuts and fry for seconds. Add raisins now,fry until it puffs up. Add grated carrots immediately to pan. Then add milk to it and let it boil until milk is absorbed. (Say for about 20 minutes). Stir it frequently. Add sugar after milk is absorbed and keep it in low flame. Stir it frequently and add cardomom powder. 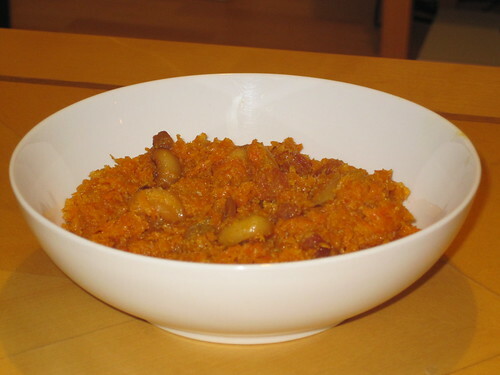 Now,carrot halwa is ready to serve. 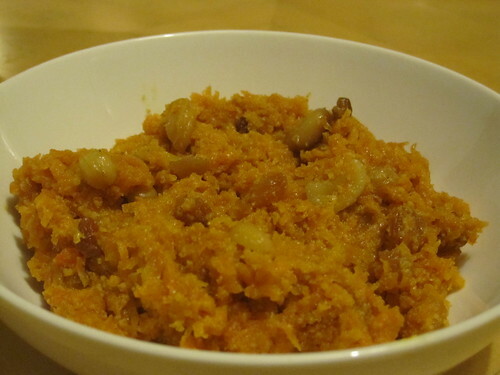 Carrot Halwa can be served by garnishing it with cashews and raisins. It can also be avoided as it has already added in halwa. U tried this halwa? wat ur hubby said?